Plateau International is pleased to announce its partnership with the Ayravata Cruise Company. The company is named after Airavata, the Burmese name for the Irrawaddy. Airavata is the white elephant who carries Indra, the god of the heavens, rains and river flows. Airavata is believed to be the producer of the huge clouds that bring the monsoon rains. Elephants often symbolise water in Hindu mythology. 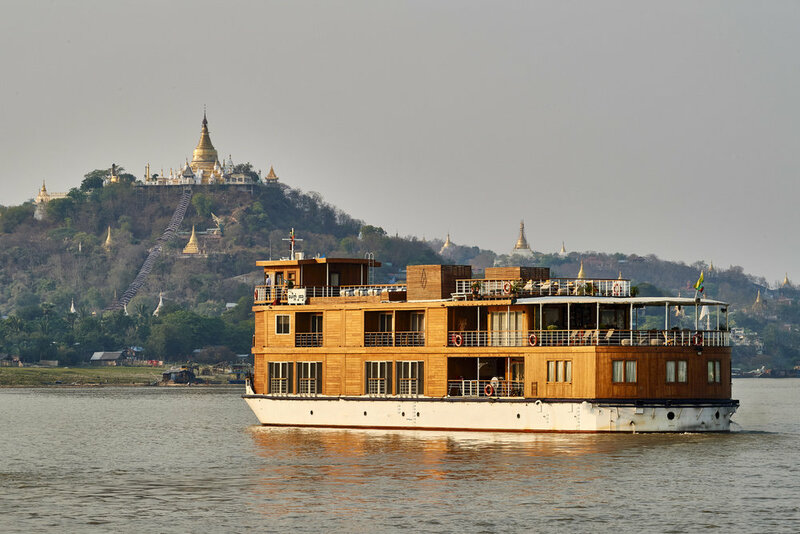 The ships of their fleet are named Paukan, the ancient name of Bagan, the old city of two thousand temples on the bank of the Irrawaddy River. This ancient capital is a treasure to the people of Myanmar. Any cruise is not only about discovering the essence of the country but doing it in luxurious comfort while living the dream in the elegance of a past era.